If you are a Christian, do you think God wants you to manage your finances well? If yes, the question is how. But first, lest you think that this is a guide to riches sort of thing, let me clarify that it’s not. Rather, this is about learning from the millionaires how they manage their finances. 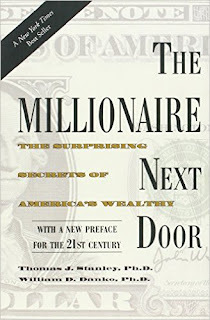 The general premise of the book, “The Millionaire Next Door”, is that we’ve got it all wrong. We’ve been deceived by the pop culture’s concept of who the real millionaires are. Contrary to what we see in the media, research shows that most actual millionaires live a very simple lifestyle. 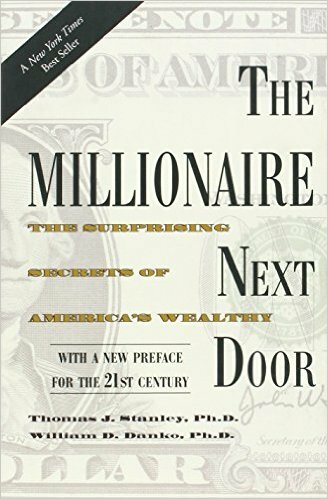 Here, we’ll look further into the seven key points that the authors found to be common among the real, “first generation rich” millionaires. Application: Are you frugal or wasteful? Do you value every penny that you have and use it in ways that honor God or do you waste it all for your own pleasure and gratification? Remember: Whoever loves pleasure will be a poor man; he who loves wine and oil will not be rich (Proverbs 21:17). 2. FOCUS & PRIORITIES – “They allocate their time and money efficiently, in ways conducive to building wealth”. Application: How do you use your time and money? Do you follow worthless pursuits such as choosing the best offer, going from dealer to dealer, store to store, wasting hours and even days, instead of just investing your time and money to build wealth? Remember: Whoever works his land will have plenty of bread, but he who follows worthless pursuits will have plenty of poverty (Proverbs 28:19). Application: Do you really need a fancy car? Do you really need to live in an upscale neighborhood? Do you really need to live and spend lavishly? Remember: One pretends to be rich, yet has nothing; another pretends to be poor, yet has great wealth (Proverbs 13:7). Economic Outpatient Care (EOC) refers to the economic gifts and "acts of kindness" parents give their adult children and grandchildren. Application: Were you taught as a child to stand on your own two feet? Do you still depend on your family for your survival, treating their financial support as your income? Remember: An inheritance gained hastily in the beginning will not be blessed in the end (Proverbs 20:21 ESV). Application: Do you teach your children the disciplines of budgeting, planning, taking risks and working hard? Remember: Train up a child in the way he should go; even when he is old he will not depart from it (Proverbs 22:6). Application: You shouldn’t invest in something that you don’t understand but are you humble enough to admit that you haven’t been studying enough? How do you plan to improve your “street smarts” and your knowledge of the market? Remember: She (woman of noble character) considers a field and buys it; with the fruit of her hands she plants a vineyard (Proverbs 31:16). Although not everyone will be entrepreneurs, understand that whether you’re running your own company or you’re working for someone else, you are your own business. You are trading your services or goods for someone else’s money. Application: Are you working hard to grow yourself and your business? Remember: A slack hand causes poverty, but the hand of the diligent makes rich (Proverbs 10:4).